Australians Find a Cure for ME/CFS!!!!! 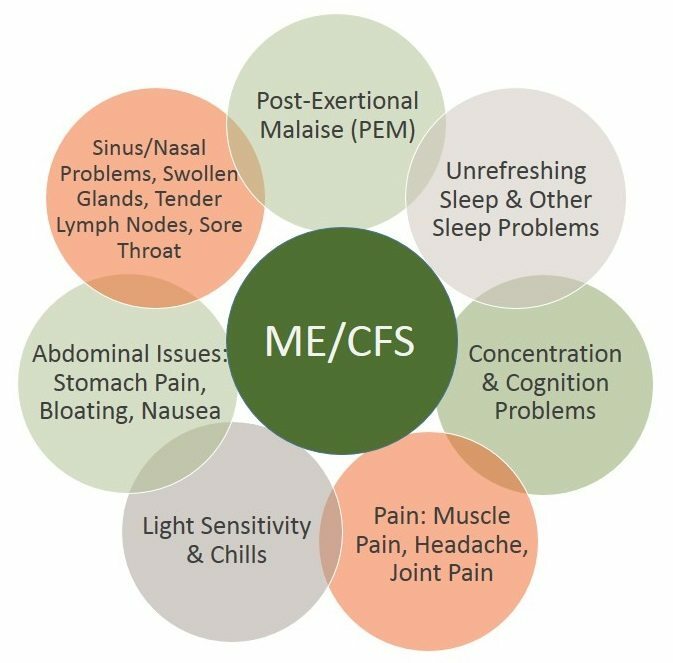 Christmas may have come early for the millions of people around the world affected by Myalgic Encephalomyelitis (ME), also erroneously called chronic fatigue syndrome (CFS). As reported yesterday (it’s Australia and the 23rd) by Sue Dunlevy, National Health Reporter for News Corp Australia, scientists have confirmed ME is real. They not only have a possible blood test for it, but there are already drugs on the market that may work. A team of scientists at Griffith University, led by immunology professor Sonya Marshall Gradisnik, identified errors in calcium channels in each cell. These channels located on the outer membrane open and close to allow movement of calcium in and out of the cell. Calcium is used by just about every cell in the body and is an important part of the immune system. According to the study, patients with ME have lower levels of calcium in our cells and our cells do not store calcium as do healthy people. The immunologists believe this is the basis for the many different signs (things you can see and measure) and symptoms )(what you feel) that are a part of having ME. Calcium signaling is vital to proper functioning of the central nervous system (brain and spinal cord), the pancreas (insulin production), kidneys, gastrointestinal (GI) tract, blood vessels and the heart. Some cardiac patients take medications to help regulate their calcium channels, and these are being examined as a potential treatment. A test may be developed from micro RNA changes found in the blood. What do you think? Will this be another XMRV retrovirus that appears promising when reported out of one lab, but cannot be replicated in other labs and finally ends with a whimper? Vikki blogs on The Mighty, a wonderful site where people with chronic conditions can share their experiences. Here is her story about staying well in the holiday season. I love Christmas. I’m not religious at all and rather prefer the term “Yule” to Christmas, but I do love the festive season. I love the tradition of bringing the outside in; during autumn, we string up autumnal garlands and fairy lights and bring out little wooden animal ornaments. Our house transitions from summer to winter in stages, until we finally put up the tree. I love the food and the warmth, making plans and spending time with people. However, this time of year is also incredibly busy, which can be difficult when you live with a chronic illness. Fibromyalgia is, in a nutshell, categorized by chronic pain and fatigue. It has been almost 18 months since I was diagnosed, and the treatment plan has been going well, but hectic periods like this remind me that I have to listen to my body, and make compromises. From now until the new year, every weekend is booked up with something. Lunch with family, dinner with friends. Even getting my nails or lashes done requires consideration about my schedule, and what I feel I can cope with. My birthday is a week before Christmas. I don’t usually do much for it since it’s hard to get people together during this period, but this year, some friends are coming up from Cornwall to spend the weekend with us. I’m not saying I don’t enjoy all of these things, but it can be draining. When I’ve had a full week at work, I collapse on Friday evenings, usually in bed by 8 o’clock. Most weekdays I’m in bed by 9 or 10 at the latest, determined to get a full eight hours sleep, ready for the next day at work. My medication makes me drowsy. In fact, it can exacerbate some symptoms of fibromyalgia, leaving me with no option but to go to bed. This is another thing I have to consider when planning events – can I take my medication at my usual time, or should I wait until later, to ensure I can still function during the event? I think a lot of people who don’t live with a chronic illness can find all of this difficult to understand. Everyone gets tired, but chronic fatigue is a whole different story. Some people don’t always give me the benefit of the doubt, preferring to get annoyed and take it personally when I cancel plans. This can put a strain on relationships, and leave me even less inclined to expend my limited energy on spending time with them. Living with a chronic illness can feel like a vicious circle, and although I can understand why people might get irritated when I cancel plans, what they have to understand is that it isn’t always my choice. My immunity is low, so I get ill easily, and this time of year is the perfect bug-catching season. And if I’m in too much pain or too tired from a full week, I cannot – and will not – force myself to make a lunch date to spare your feelings. My health will always come first. For this reason, Christmas day is a quiet affair in our house. Nobody comes around, and we don’t go out. It’s just us and our cats, no pressure, just relaxation. We always make an effort to see other people during the festive season, but we spend Christmas day alone, recharging, enjoying our little family and our peaceful home. I learned a long time ago that I have to be firm when it comes to my health, whether that’s physical or mental, and sometimes you have to put yourself first. For many, holidays like this are full of stress and drama. We force ourselves to be pleasant to family members we don’t like, we get ourselves into debt trying to buy everyone a present, and we try so hard to live up to the expectations of others. We forget about ourselves, what we need, and what makes us happy. I decided a few years ago that my favorite holiday would be spent the way I want to spend it. I love seeing distant friends, getting together around a table and catching up. I enjoy spending time with family, and going out for walks, enjoying the lights and decorations. This year, we’ve decided that we don’t want presents. We’re saving to buy a house, so close friends and family are welcome to contribute to that, but we’d rather people saved their money and joined us for a drink or a meal, and spend time rather than money. It’s easy for me to buy a bunch of rubbish on Amazon, get them to gift wrap it and ship it straight to them. It takes money, but not effort, and I’m more interested in the latter. “It’s the thought that counts,” is our motto this year. So I think we should all take a moment, whether we live with a chronic illness or not, and appreciate the time people give us during this holiday season because sometimes, it can be the greatest gift they can give.